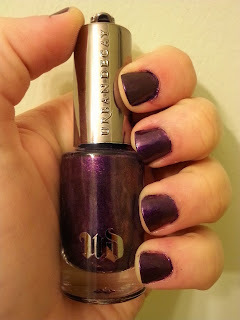 Today I am so excited to show you my swatches from a couple of polishes from Urban Decay! Urban Decay released two limited edition nail colors and I love them both so much! I can't wait to see what they come out with next! These bottles are fabulous-I love the little skull on top of the polish cap! I also love the polish names-they are so fun!! 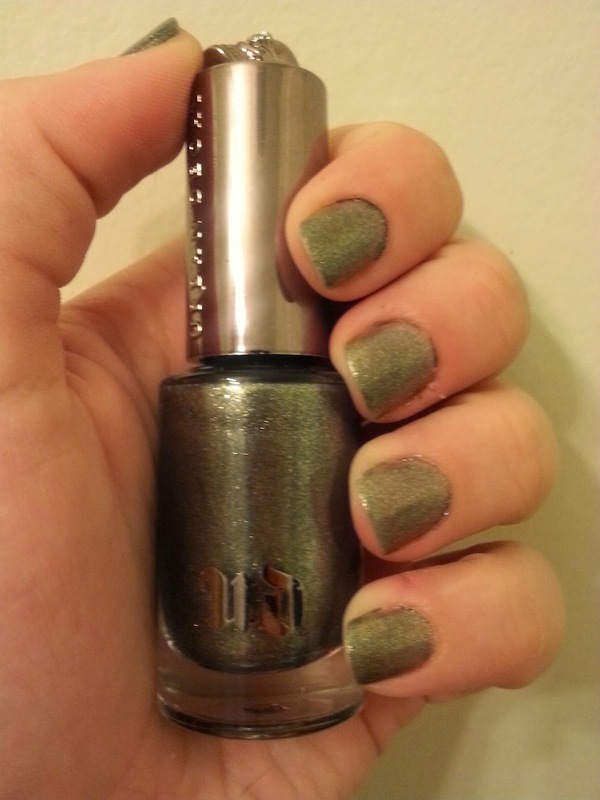 And I am in love with this color-it's suppose to be a smoky metallic gunmetal, but it appears as though it's a gorgeous green with flecks of gold which might be due to its multidimensional shine. This color is absolutely gorgeous! 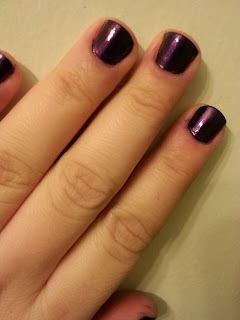 I love rich deep purples and Vice was no exception!! This color is super rich and intense!! 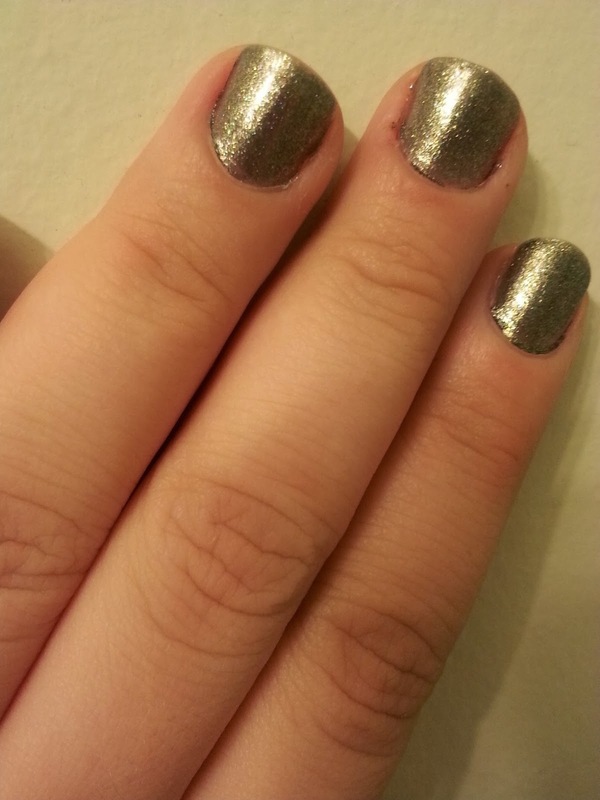 I have a hard time choosing between these two shades because I like them both for different reasons. Which one is your favorite? What color would you like to see UD come out with next?